Fees associated with Austrian PCT national phase entry as well as other patent fees are available in the fee calculator. The time limit for entering the Austrian national phase of a PCT application is 30 months from the date of priority. This deadline may be restored within two months after the missed term. The official language of the Austrian PCT national phase application is German. Filing the application in other foreign languages is not permitted. A signed copy of the POA is sufficient. It should be provided along with an application. If the disclosure of the information on the invention has been made up to six months before the filing date either in consequence of an evident abuse to the prejudice of the applicant or his legal predecessor, or in consequence of the fact that the applicant or his legal predecessor has displayed the invention at an official or officially recognized exhibition, it will not disprove the novelty of the invention. Substantive examination of an Austrian patent application based on PCT is conducted automatically without any specific request. Official fees for granting and publication should be paid within 2 months from the date when Notice of Allowance was issued. Patents in Austria are in force for twenty years from the international filing date. Annual fees are due each year starting from the 6th one and should be paid after the patent is granted before the expiry of the last day of the month in which the anniversary of the international filing date occurs. Late payment is possible within a six-month grace period by paying a corresponding surcharge. For foreigners, it is necessary to perform the Austrian PCT national stage entry through an agent, a registered Austrian patent attorney. 1. Online Search Databases: Austrian Patents and Utility Models, European Patents (EPO). 2. 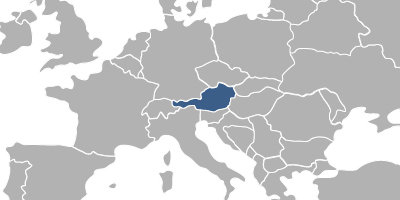 PCT application may also be nationalised in Austria via entering the European PCT regional phase and its further validation in Austria. 3. PCT applications may also be protected as Utility Models in Austria, which are subject to formal examination only. Plant varieties or animal races are not protectable. The time frame for a utility model registration in Austria may take 8-12 months. However, if an expedited registration is requested, registration takes place within 3-4 months. Maximum protection period of a utility model in Austria is ten years from the international filing date.